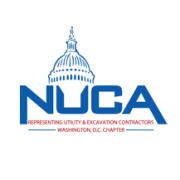 The Washington DC Infrastructure Academy, a training program announced by Mayor Muriel Bowser, endorsed by local area utilities such as DC Water, PEPCO, and Washington Gas (all NUCA of DC Members! ), is starting several new classes that have the potential to benefit DC area Utility Contractors. A CDL Drivers class is beginning January 22 with 20 registered students. The last class had a 90% graduation rate, with 10/20 students obtaining their CDL license, so the pool of trained CDL drivers is growing! NUCA of DC representatives are in discussions with DCIA representatives to develop ways to help these graduates get the crucial on-the-job experience that is needed for our members to be able to hire these drivers. Similarly, TWO auto mechanics courses will be taking place this training period, with one having already started and one starting on January 28. A PEPCO-endorsed electrical worker course will be starting on February 4, and lasting 22 weeks. The graduates of this course will be trained in both underground and overhead electrical work. Future courses under development include water and gas pipefitting. This week, the House is set to vote on a standalone bill to fund the U.S. Department of the Interior and the U.S. Environmental Protection Agency – a bill that passed both chambers of Congress last Summer. This bill, which largely mirrors the Senate-passed bill, will reopen our national parks and provide important funding for water infrastructure and environmental cleanup programs. As our nation’s wastewater infrastructure faces an estimated $271 billion deficit to meet current and future demands over the next 20 years and an estimated $1 trillion is necessary to maintain and expand service to meet drinking water demands over the next 25 years, the Clean Water and Drinking Water State Revolving Fund and the Water Infrastructure Finance and Innovation Act (WIFIA) are key federal programs that support investments in local water systems. These programs are funded at nearly $1.694 billion, $1.164 billion and $63 billion respectively—representing level funding compared to FY18—in the bill. While the America’s Water Infrastructure Act of 2018 provided key policy wins for water infrastructure, the appropriations process is where Congress makes good on its authorization priorities. The previous water resources bill, passed in 2016, authorized several new grant programs addressing disadvantaged communities and lead testing and remediation. These programs would receive much-needed funding under the Interior-EPA appropriations bill. NLC’s Budget Tracker provides a breakdown of other programs funded in the Interior-EPA appropriations bill. With DOI and EPA shut down, there is no new money for these vital water infrastructure programs and other programs such as Brownfields, Superfund and the Land and Water Conservation Fund, that cities, towns and villages rely on. As the partial government shutdown nears three weeks, the impacts on our nation’s water infrastructure, environment and public lands is hitting communities nationwide. Aside from the lack of new funding, environmental cleanups are stalled (except in cases where there is an imminent threat to public health) or lack EPA oversight, and permits are delayed. While 47 of the 50 states operate their own National Pollutant Discharge Elimination System (NPDES) permitting programs, Massachusetts, New Hampshire, New Mexico, and the District of Columbia and territories rely on EPA to issue permits for a variety of water pollution discharges that, if not regulated, will negatively impact the health of our nation’s waterways. Of course, the shutdown is not a permission slip for unregulated or unpermitted discharges, but it means that projects cannot move forward. Much has been reported in the media about the impact of shutting down our national parks. Rightly so, because national parks contribute significantly to our national economy and have a particular importance for “gateway communities” that have tourism-based economies that almost solely depend on neighboring major federal parks and monuments. In 2017, 331 million park visitors nationwide spent $18.2 billion in national parks, which supported 306,000 jobs, $11.9 billion in labor income, and generated a total of $35.8 billion in economic output for the national economy. The National Park Service has started using visitor fees to clean bathrooms, pick up garbage, maintain roads, boost law enforcement and emergency operations, and staff some entrances. These fees are typically used to improve the quality of visitor experience at the parks, rather than pay for basic maintenance. In DC and communities across the country, local governments and nonprofits have been footing the bill for cleanup at national parks. Finally, the partial government shutdown is impacting the Trump Administration’s own policy agenda toward repealing and revising various Obama Administration rulemakings. For example, EPA’s efforts to revise Corporate Average Fuel Economy (CAFE) and greenhouse gas emissions standards for passenger cars and light-duty trucks are on hold as employees charged with reading comments and revising text are on furlough. Additionally, EPA and the U.S. Army Corps announced that they will postpone the planned Jan. 23 public hearing on the proposed new “Waters of the U.S.” definition until after appropriations have passed to fund EPA. Publication of the proposed rule in the Federal Register is also postponed.